One of the biggest fights involves how much effort to put into stopping leaks of methane gas into the atmosphere. It may sound like an obscure topic, but the leaks could have a great effect on the climate that people living today experience. This issue has grown in importance with the release of President Obama’s new climate plan. It calls for greater use of natural gas, which consists mostly of methane. Among a few academics and on the far left of the environmental movement, cries are going up that the president is about to lock America into a supposed solution to climate change that will be worse than burning coal. The basic scientific facts are pretty clear. By far the most important greenhouse gas that humans are spewing into the atmosphere is carbon dioxide, which comes from burning fossil fuels. The second most important is methane, which comes from many sources. It is released when coal is mined; it escapes when wells are drilled for oil or natural gas; and it leaks from pipes that distribute natural gas. Certain agricultural practices also throw up a huge amount. Pound for pound, methane is a far more potent greenhouse gas than carbon dioxide. But in stark contrast to CO2, methane breaks down quickly in the atmosphere. Every time you flip on a light switch, causing more coal to be burned and CO2 to be released, you are slightly altering the earth’s climate for thousands of years. Release a puff of methane, scientists say, and the climate influence will be gone in a few decades. Despite that difference, billions of dollars are being spent to control methane leaks, and some people argue for spending more. Dr. Pierrehumbert is a leading voice challenging that approach. He argues, essentially, that the world has yet to mount a serious effort to control carbon dioxide, which will be vastly more harmful in the long run, and that methane and other short-term pollutants should largely be ignored until that bigger problem is fixed. Taking the opposite view are scientists who argue that the short-term effect of methane presents an opportunity not to be overlooked. Global warming is already a problem, they point out, noting the rise of certain extreme weather events. Aggressively controlling methane, they say, would help slow the warming sharply over the coming decades. By contrast, “our success in controlling CO2 emissions is likely to make very little difference on temperature over the next 40 years,” said Drew Shindell, a longtime NASA climate scientist who is leaving for Duke University. He and other scientists who see the issue this way have had some success in the last few years helping to persuade the United Nations, the United States Department of State, the Environmental Protection Agency and other organizations to back efforts to control the release of methane, as well as other short-term pollutants. So what has all this got to do with the president’s climate plan? Mr. Obama’s administration intends to cut carbon dioxide emissions from power plants by 30 percent, from 2005 levels, by 2030. That will push states toward much greater use of natural gas to generate electricity — a shift that is seen as combating global warming because, in a power plant, burning natural gas emits roughly half the carbon dioxide as burning coal. The plan effectively puts the administration on the side of increased natural gas production, including through the controversial technique called hydraulic fracturing, or fracking. 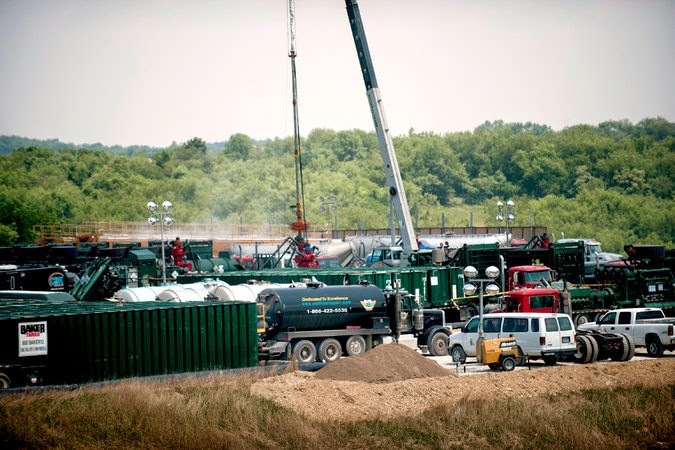 Grass-roots environmental groups have erupted, contending that leaks from this form of gas production will effectively cancel out any claimed climate benefits. The larger issue is a tough one. If only a limited amount of political capital and money is going to be available to tackle global warming, that would weigh in favor of Dr. Pierrehumbert’s argument for ignoring methane leaks for the time being. Dr. Shindell agrees that methane control should not be pursued at the expense of CO2 control. But maybe there is a way out of this conundrum. What is the chance that a two-pronged attack on climate change would increase the overall level of political will? The idea would be to promise far more aggressive methane control to slow global warming for the benefit of people alive today, along with aggressive CO2 control for the benefit of future generations. If the prospect of near-term climate benefits could spur a notable increase in public support for longer-term measures, too, that would certainly tilt the argument in Dr. Shindell’s favor.